Here in the studio, when we design new projects and crafts for the different holidays throughout the year, we love to create things that can be used again and again. Not only can you create a gift that is a sweet sentiment in the moment, but it can also remind that person of your lovely thoughts year-round. 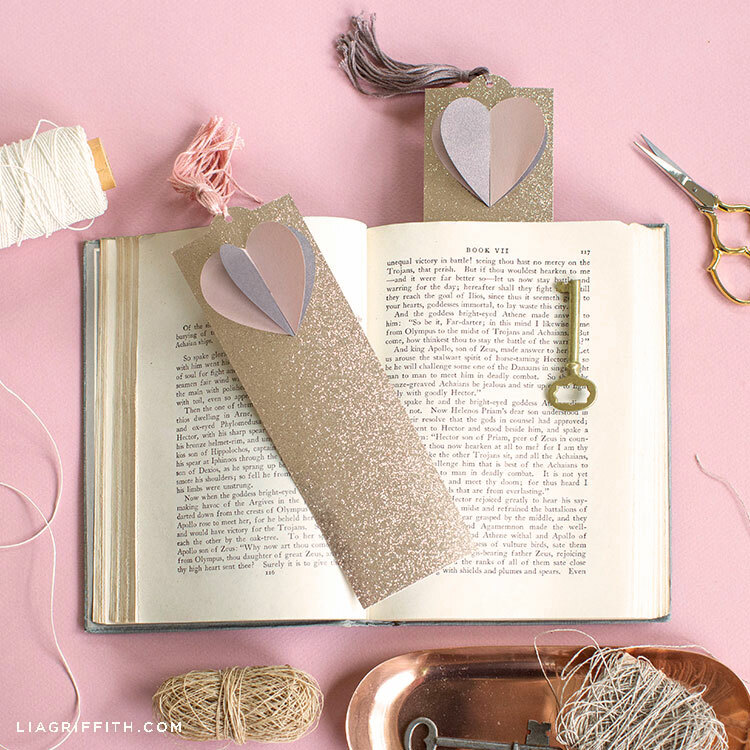 One example of this is our 3D paper heart bookmarks, which we’re showing you how to make today. If you love making gifts for Valentine’s Day, we have a lot of other ideas for you, too! Some of our other favorite Valentine’s Day gifts include this conversation heart tote bag (perfect for carrying books or all the Valentines goodies you get) and our heart shrink film jewelry. 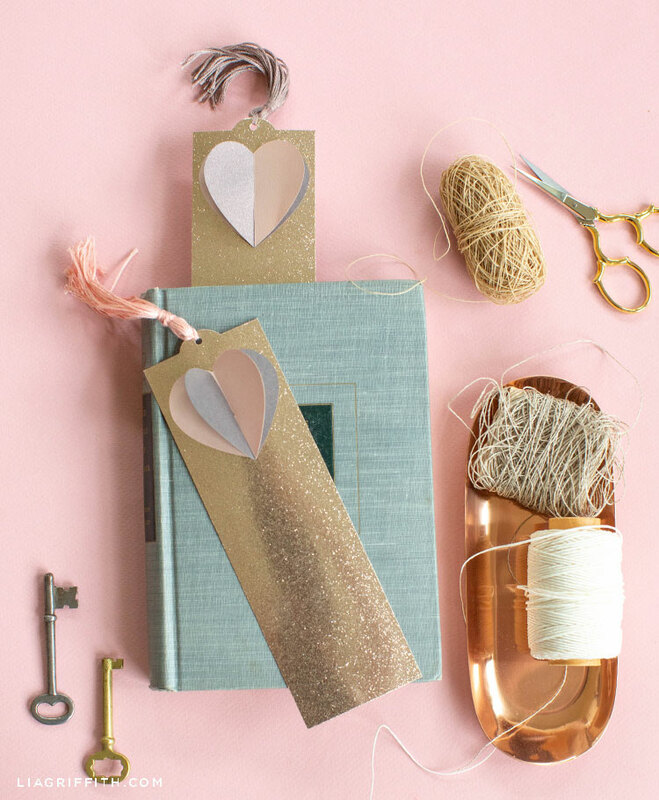 This simple-to-make bookmark mixes cardstock glitter paper, pretty frosted paper, and a DIY floss tassel to create an elegant understated look. No words needed to express your sentiments! 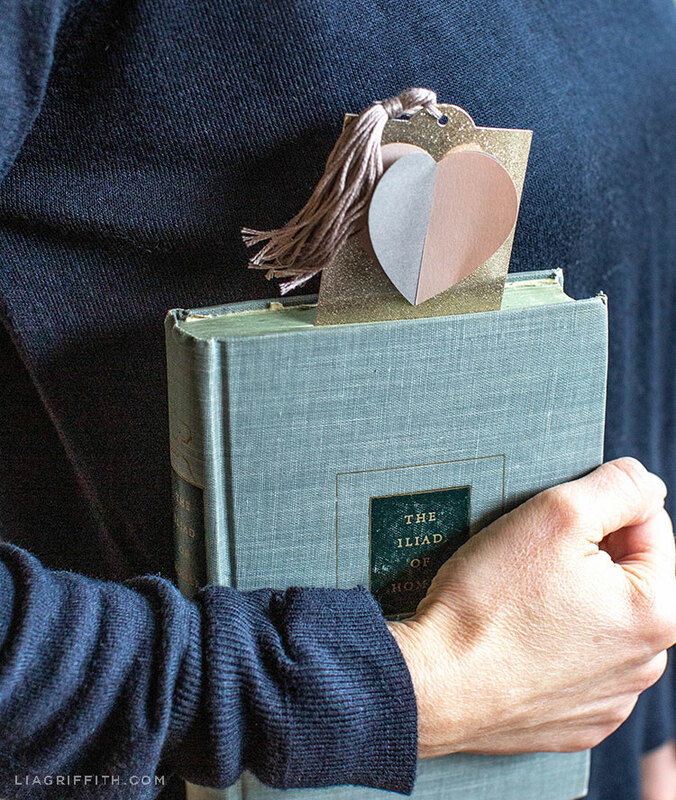 These 3D paper heart bookmarks make great gifts for book lovers of all ages—especially when you add them to books you know your friends or family members will love to read. 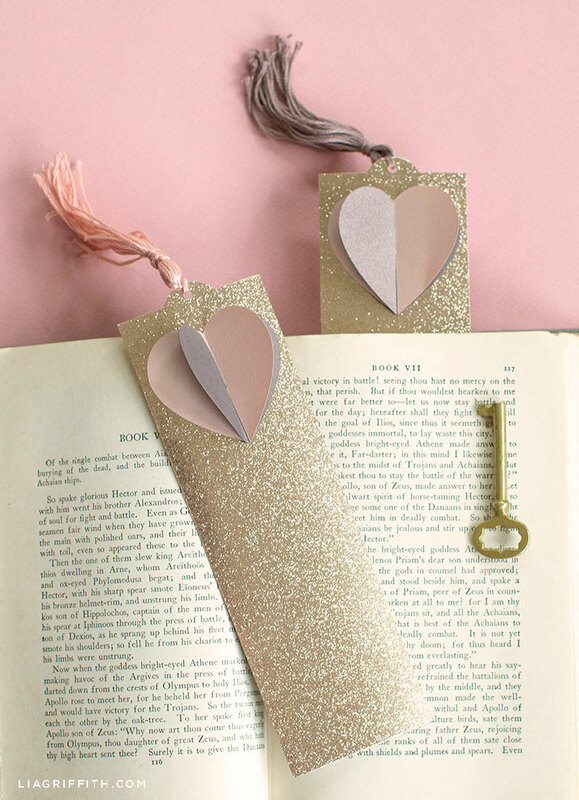 Cut bookmark from cardstock paper and hearts from text weight or cardstock paper. To assemble hearts, take one heart with slit on bottom and insert into heart with slit on top. 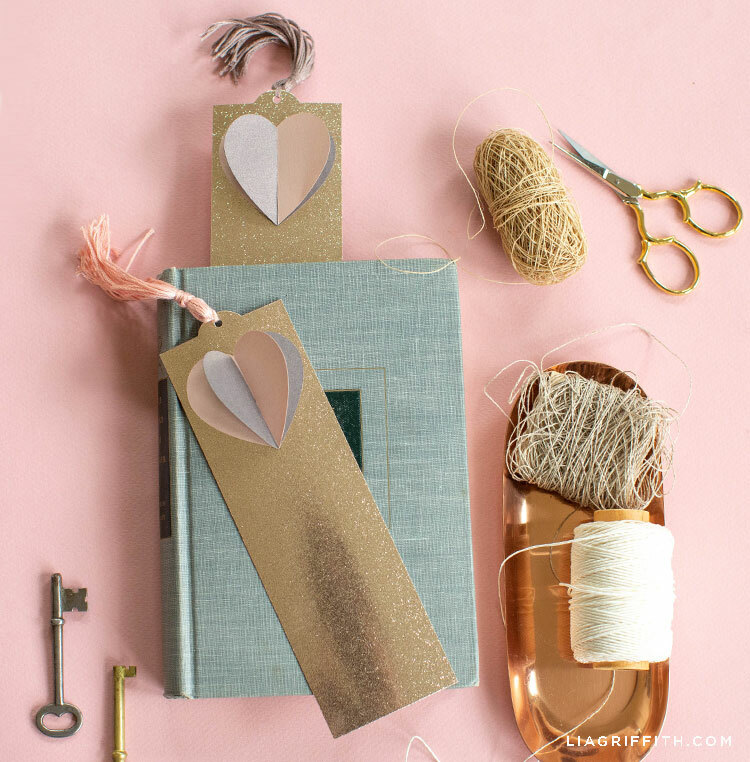 Use an adhesive tape roller to tack down the left and right halves of the heart onto the cardstock bookmark. Beautiful. Perfect for Valentine day. Thanks for sharing the tutorial.